You have questions and we have plenty of answers – Below are our most Frequently Asked Questions! Take a few moment to review the most popular questions we received about our renting and staying in our Estate, and the answers to those questions. You are always welcome to Contact Us with any additional questions and requests for information. What’s included with the rental rate? What airport do we fly into and how far is the Estate from the airport? How far from the Beach is the Estate? How many beds total are in the estate? Is there a safe in the house to store our valuables? Is Casa Ponte a good venue for weddings? What is the nightlife like in Jaco? Will you help book our tours? Do you offer bachelor party planning? Do you host Corporate Retreats? Do I need a passport to come to Costa Rica? Can I drive in Costa Rica? What do I need to get married in Costa Rica? Can we drink the water in Costa Rica? Is the electricity the same voltage and style as the US? What is the time zone in Costa Rica? Are there pharmacies and doctors easily accessible? What is the currency of Costa Rica? 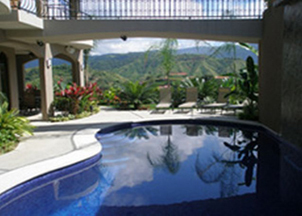 Will we have a great time on our Costa Rica Vacation? Have a question we didn’t answer here? Use the contact form on the right side of any page and drop us a line. We will personally respond to your request and probably add your question and our anwer here.